Donald Trump Jr. has been known to draw controversy on social media, and a post Saturday follows suit. The president's eldest son posted an image of an apparently fake note that looked like it was written by a child, joking that it was a letter making allegations about Supreme Court nominee Brett Kavanaugh. Trump Jr. posted the fake iteration amid widespread reporting about a letter sent to Sen. Diane Feinstein, D-Calif., alleging that Kavanaugh had sexually assaulted a teenage girl when they were both in high school. The name of the woman making the allegation was unknown at the time of Trump Jr.s post, but she revealed her identity in a Washington Post story Sunday as Christine Blasey Ford, a California professor. The image that Trump shared Saturday is of a letter that reads, "Hi Cindy, Will you be my girlfriend" with boxes next to answer options yes or no, and is signed "Love Bret." In his caption, Trump suggests that the then-anonymous allegations were an attempt by Democrats to derail Kavanaugh's nomination. "Oh boy... the Dems and their usual nonsense games really have him on the ropes now. Finestein [sic] had the letter in July and saved it for the eve of his vote... honorable as always. I believe this is a copy for full transparency," he wrote, ending the caption with a series of laughing smiling face emojis, the American flag, and #politics and #maga. Trump Jr. also in response to a skeptical comment on his post questioned the credibility of the letter. "An anonymous letter from an anonymous source that a senator sat on for over 2 months that's [sic] talks about a very public figure who has been scrutinized for decades that the FBI refused to even look at conveniently appears right as he's finishing confirmation? Yea that's credible... you can't really buy that crap can you?" Trump Jr. wrote in his response. Trump Jr.'s Instagram post came the day after The New Yorker reported that the letter included the accusation that in high school, Kavanaugh held a woman down and "attempted to force himself on her." 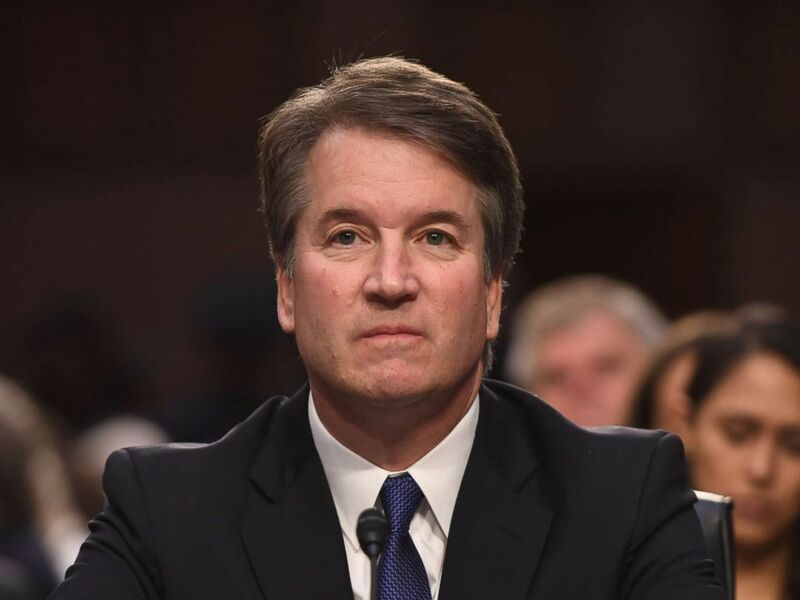 Kavanaugh has denied the allegations as "completely false." A member of the Trump administration responded approvingly to Trump Jr.'s Instagram post. Lynne Patton, a regional administrator for the Department of Housing and Urban Development who is a former event planner who worked for the Trump family, responded with emojis of a laughing, smiley face and a pair of raised hands. In response to a comment on Twitter criticizing Patton for her approval of Trump Jr.'s post, she asserted that it was not "an attempt to diminish sexual assault." Supreme Court nominee Brett Kavanaugh listens during the first day of his confirmation hearing in front of the U.S. Senate on Capitol Hill, Sept. 4, 2018. "To the contrary, my commentary was in response to the hypocracy [sic] highlighted by Donald Trump Jr., inasmuch that Senator Feinstein deliberately concealed Ms. Ford's letter for nearly two months, releasing it only when the timing best suited that of her own party," Patton said in a statement on Twitter. This is not the first time that the president's son has posted a polarizing meme on social media to make a point. He received widespread criticism during the campaign when he shared an image that had a caption asking, "If I had a bowl of skittles and I told you just three would kill you. Would you take a handful? That's our Syrian refugee problem." 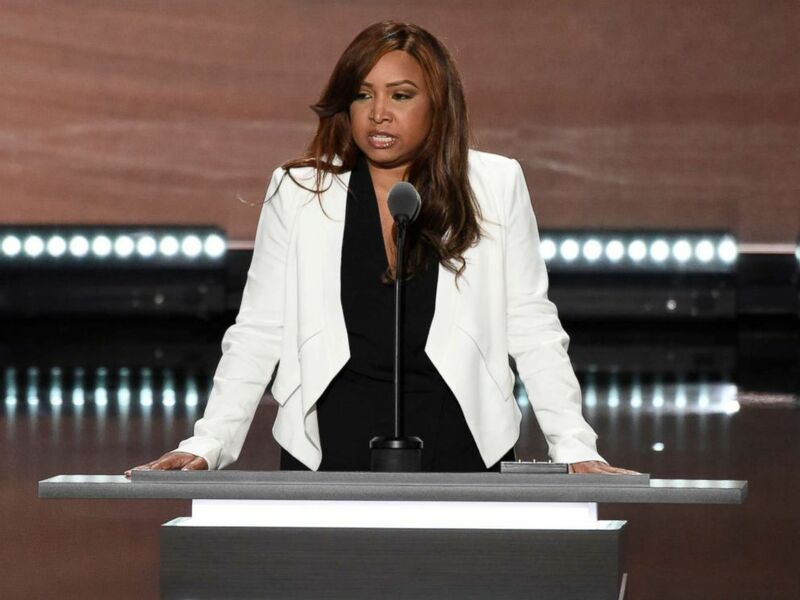 Lynne Patton, vice president of the Eric Trump Foundation, speaks during the Republican National Convention in Cleveland, July 20, 2016. The image in the post has since been removed but Trump's tweet, which reads, "This image says it all. Let's end the politically correct agenda that doesn't put America first. #trump2016," remains live. He also has kept up an Instagram post from 2016 that was an apparent reference to Hillary Clinton's saying some of his father's supporters were "a basket of deplorables." The image includes the head of Pepe the frog, a cartoon figure regularly used by members of the far right.